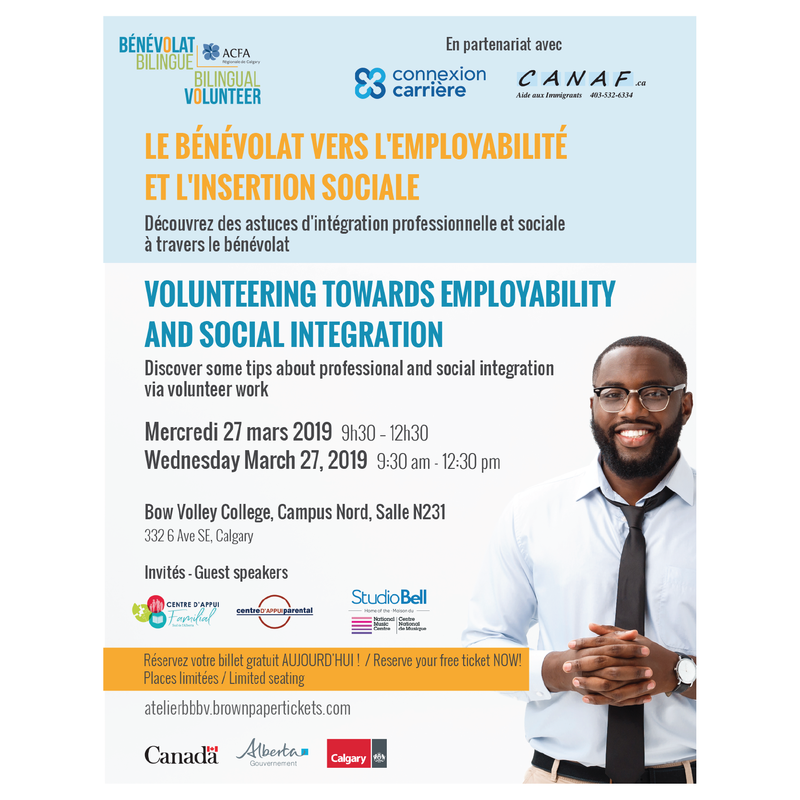 This workshop offered in French is presented by Bénévolat bilingue Bilingual Volunteer (BBBV-Calgary), in partnership with Connexion Carrière and the francophone newcomers centre. Thank you for your participation! Stay tuned for our next workshops.